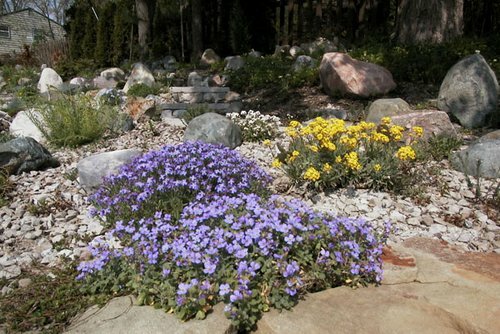 A rock garden is simply a plot with a mix of rocks and any of several special species of small flowers. 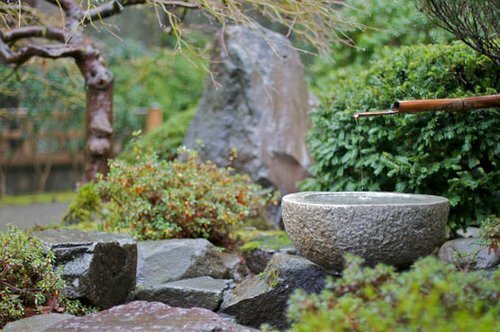 Forging a beautiful and relaxing rock garden in your yard is surprisingly simple. 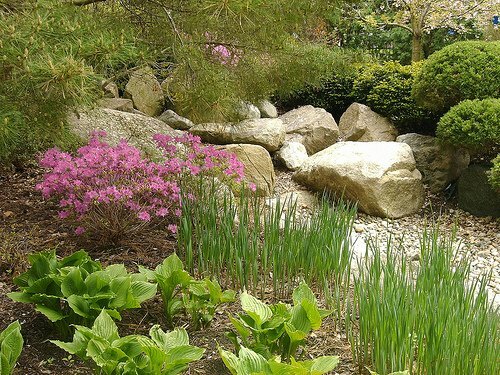 In the planting of rock gardens, we must aim to secure by means of careful selection and grouping, an impression of breadth and boldness in the color masses. Nothing is more satisfactory when contemplating any form of garden art, than the feeling that the designer has from the beginning worked with the idea of achieving some definite purpose. This is especially so in the case of rock gardens. Beautiful garden pictures are only possible when each small plant is made to play its part in the building up of a definite scheme. 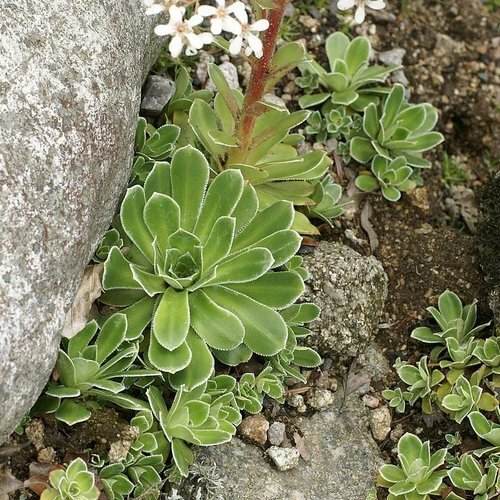 There are hundreds of plants suitable for rock gardens, but only the most desirable should be included. Rarity should not influence selection. The commonest and easiest grown flowers are often the most beautiful. Nor should too many varieties be grown. It is better to plant two or three representatives of a family in bold groups, than to obtain perhaps four times the number of different species, with but a single plant of each. 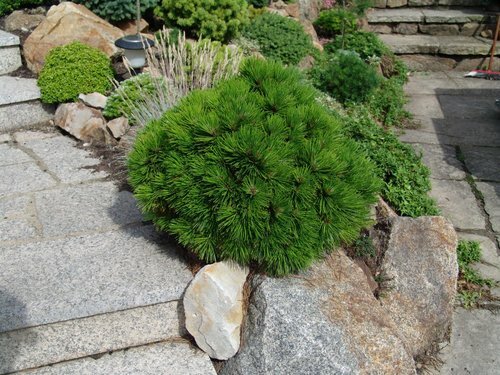 For rapidly establishing themselves in cushion-like tufts covering the edges of the larger stones, the Rock Cresses (Aubrietia) are unequalled. They will grow in almost any soil, and may be increased by seeds or division. A.Purpurea and A.Deltoidea are the oldest of the group and have long been favorites. A.Graeca, lilac-purple, and A.Campbelli, deep violet-blue, give lighter shades among the purples. 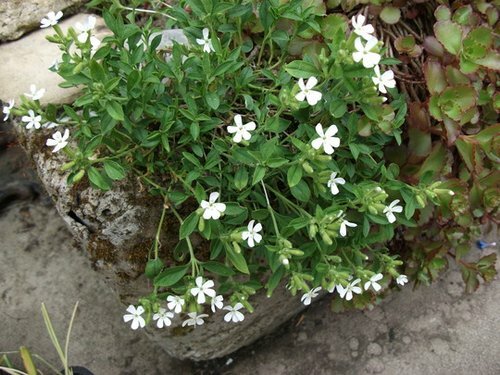 Near these, a sheet of snowy Arabis would afford a brilliant contrast, and to complete the picture we would arrange a cluster of golden Alyssum. 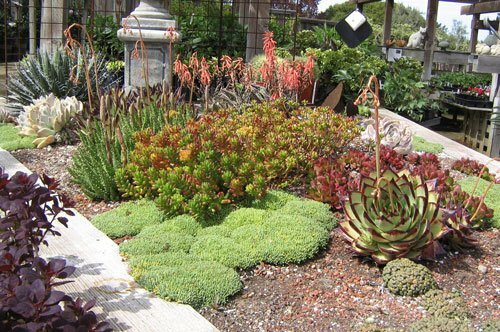 These three families of rock plants, all perfectly hardy, provide materials for creating one of those bold color effects, which are often more welcome than subtle harmonies. 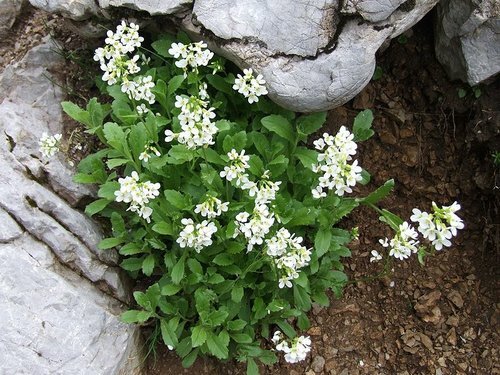 Another good grouping would consist of Iberis sempervirens and the yellow Alpine Wallflower (Cheiranthus alpinus). 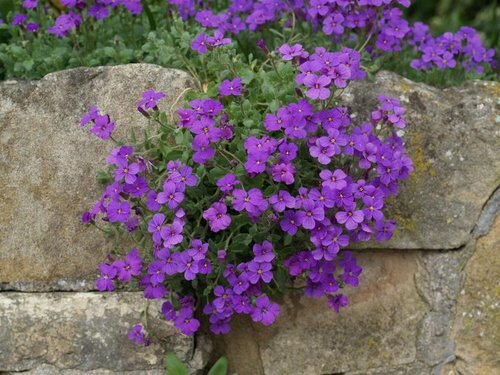 This combination is particularly beautiful on an almost perpendicular rock face, the deep green and white curtain of Candytuft falling among the golden Wallflowers, which thrive well in the earth fissures of rock walling. An exquisite picture is achieved by a few plants of Lithospermum prostratum (Gromwell), and a cluster of the Pyramidal Saxifrage (S.Cotyledon). Given a large boulder, rising from an earth ledge, we may plant the former so that it falls, a cascade of gentian blue, into the lap of the silverleaved Rockfoils. In addition to the beauty of blue and silver, tall pyramids of white Saxifrage flowers will rise in graceful clusters before a curtain of azure. Between scattered clumps of the Blue Winter Windflower (A.Blanda), drifts of Snowdrops may wander freely, a carpet of the white and silver Saxifraga caesia giving an added beauty to the rosy tufts of the Glacier Pink (D.Neglectus). Saponaria ocymoides forms with the Creeping Sandwort (Arenaria) a mist of pink and white over rock ledges and grey stones, the graceful flower sprays of Maiden’s Wreath (Francoa) are seen to greatest advantage when backed by the rich green foliage of Alpine Rhododendrons and other shrubs. It would be easy to suggest further combinations, either for form or color, but the value of garden books lies more in suggestion than in the laying down of fixed rules. A garden heedlessly planted can never be really beautiful, good pictures require something more than the mere covering of a canvas with splashes of paint. The grouping of plants, so that each individual is of some benefit to its neighbor, is a pleasant task, and calls forth the best instincts of the lover of Nature.